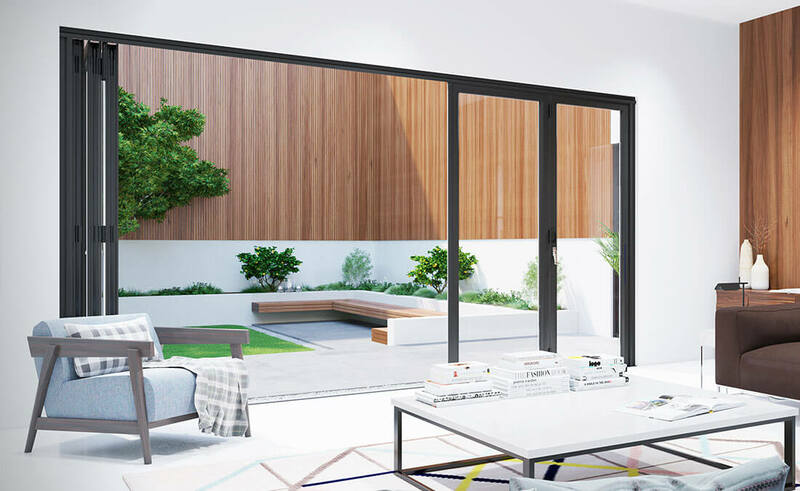 WarmCore bifold door collection give you a whole new outlook on life, harmoniously bringing your living space and garden together. 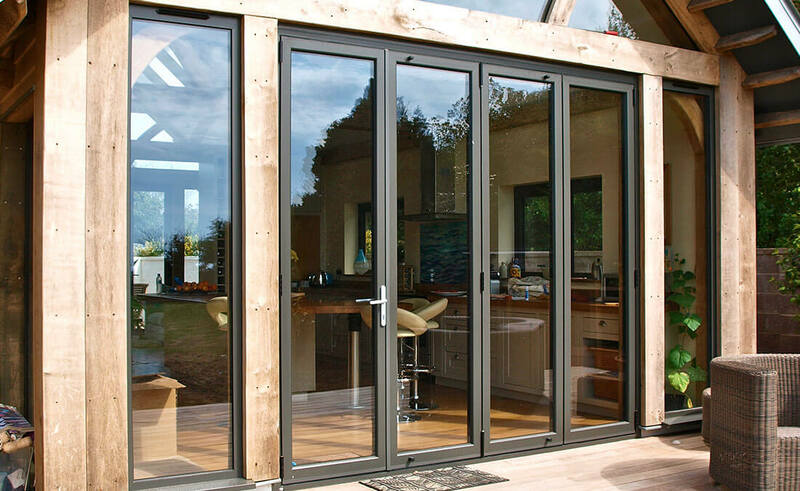 Opening up a plethora of new possibilities to interacting with your home, Plan-it Windows can offer all the popular elevational configurations and stacking options generally associated with brilliant bifolds. 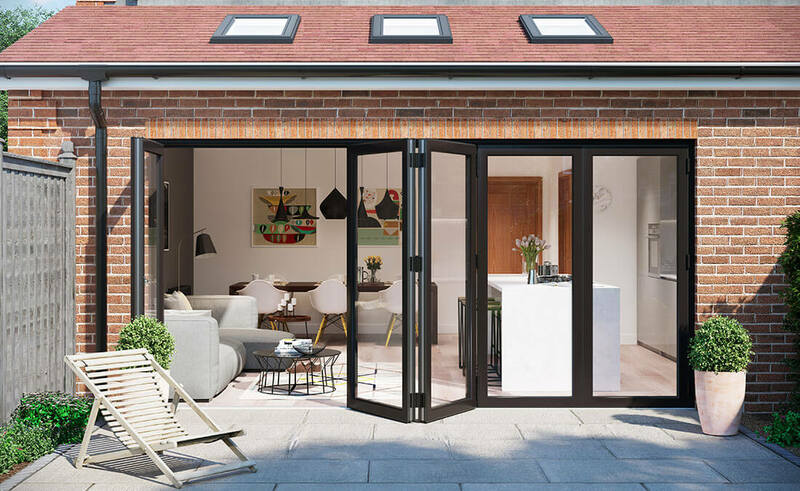 Taking up only half the space of a normal-sized door when open, the main benefit of our exceptional aluminium bifold range is its’ versatility; offering a wealth of different opening configurations, colours and styles to choose from. 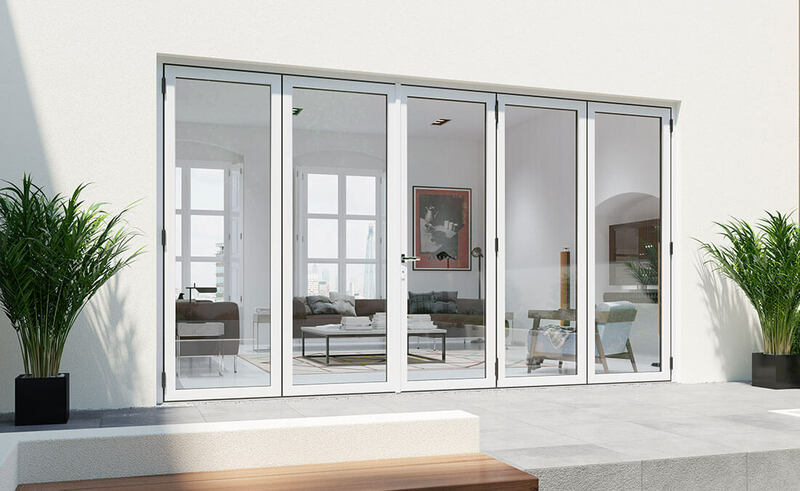 The WarmCore’s Collection of ultra-chic doorways redefine thermal performance in wide span aluminium doors. 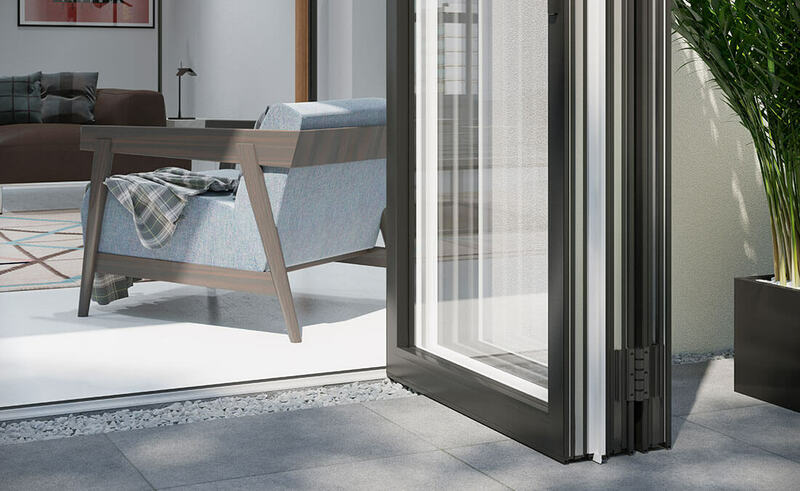 At Plan-it Windows we are proud to offer all the popular elevational configurations and stacking options generally associated with bifolding door systems. 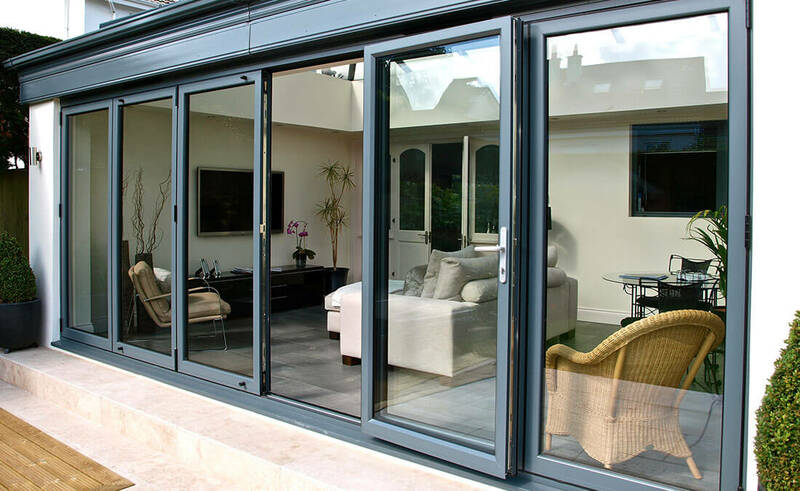 With a midrail option available, folding doors up to six metres wide incorporating seven sashes can even be specified. Superior thermal performance entwined with hi-tech elegance make these doors much, much more than just a series of door panels connected with hinges. 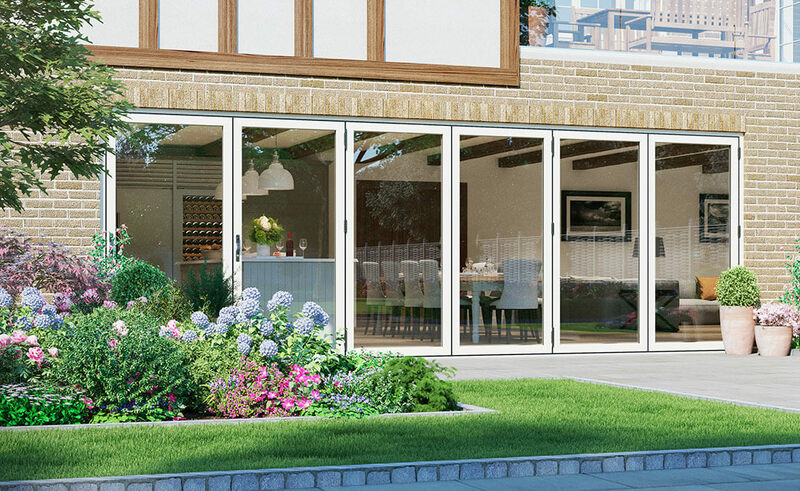 Our bifolding door range is designed with the homeowner solely in mind. 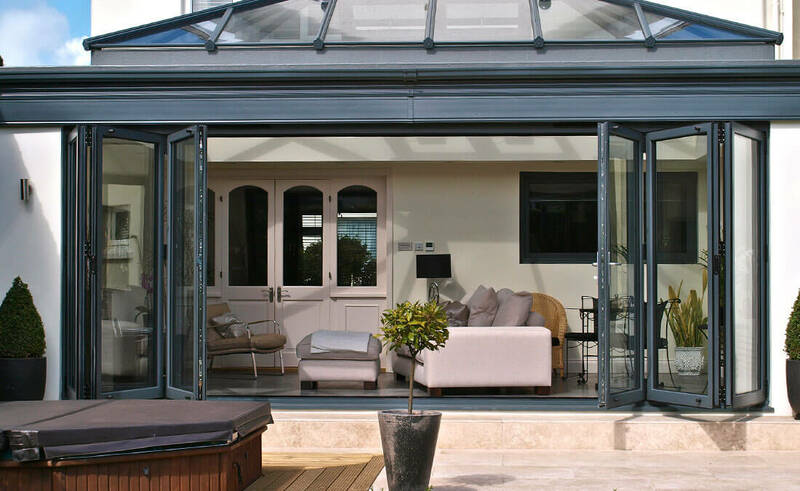 As you can see below, this range harmoniously brings your living and garden spaces together whilst meeting the highest standards of performance and are glazed and finished to the highest level of efficiency. So please have a browse through these prime examples of our skilled craftsmanship to gain inspiration for your own project.